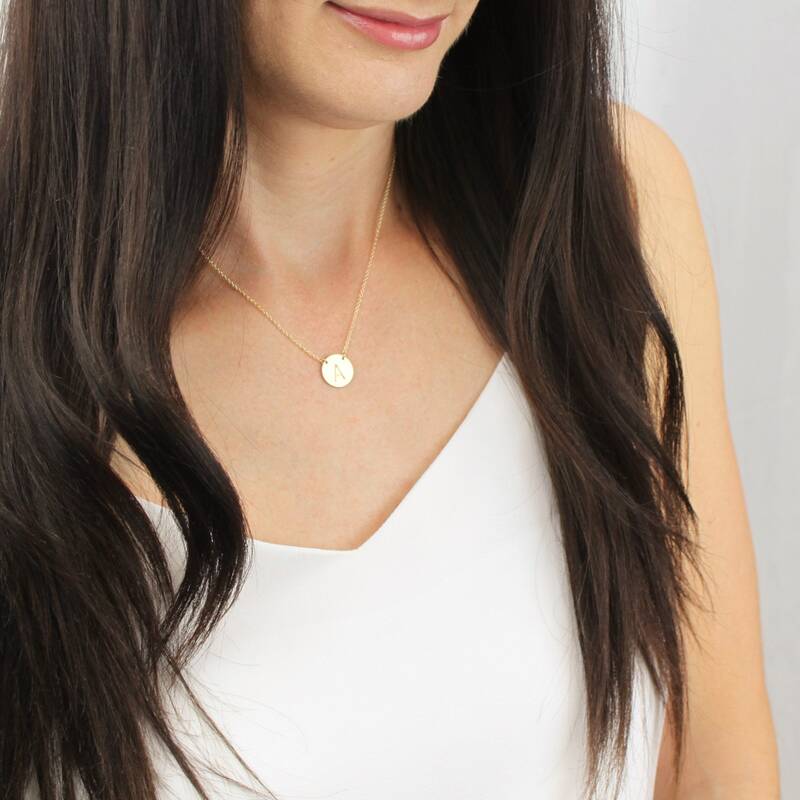 Elegant and classic, our suspended initial necklace comes in your choice of sterling silver, 14kt gold filled or rose gold filled options. 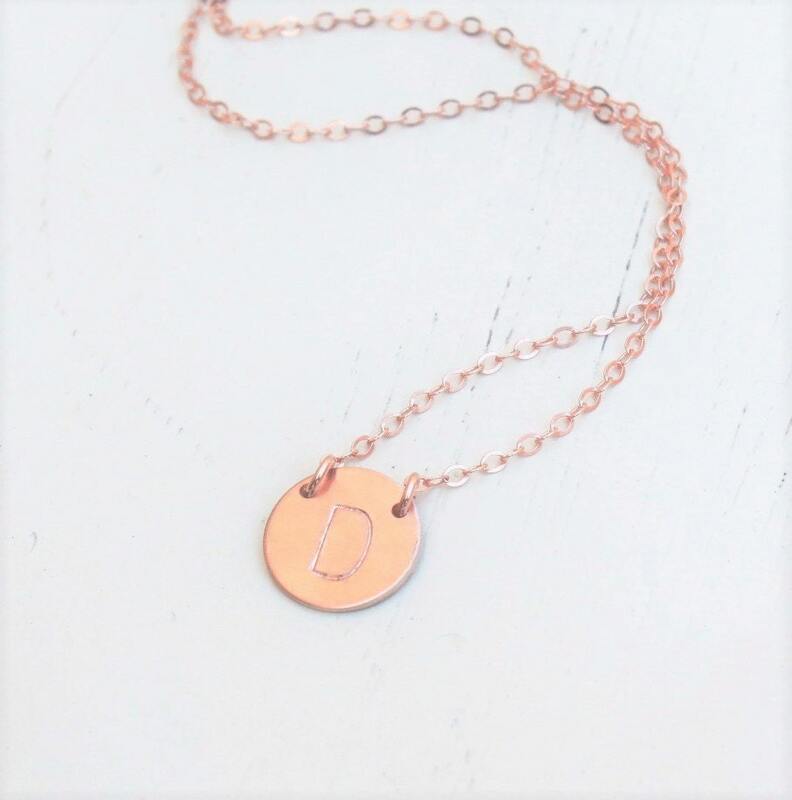 Personalized this with a special initial or wear it hammered, perfect for everyday! 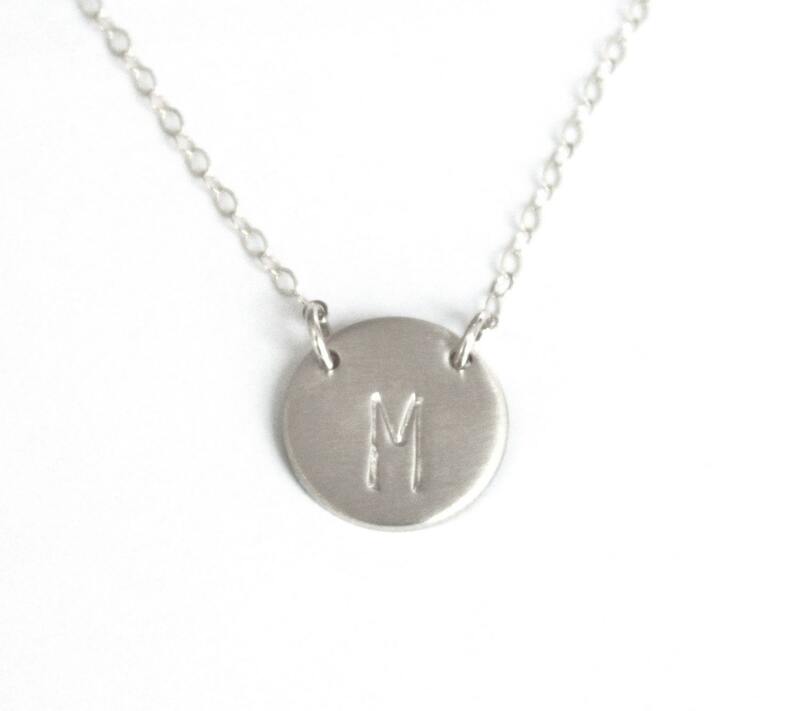 -Hand stamped with an initial in block font. Very pretty & nice quality. Looks just like photos online. Arrived promptly. This is my 2nd purchase I have made from her. 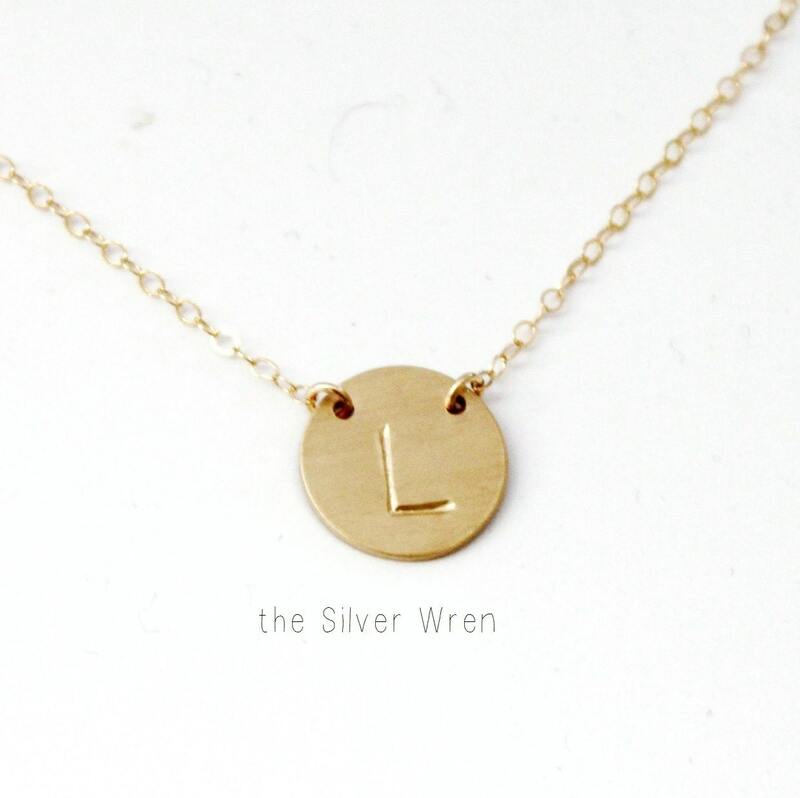 Would order from TheSilverWren again. This layers beautifully with the bar. I love the option to have engraving on both sides. I put one of my daughter’s initials on each side.